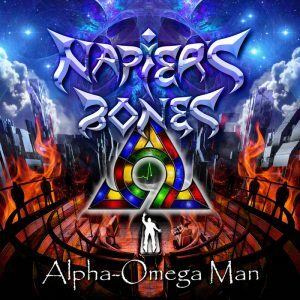 Welcome to Napier’s Bones’ fourth outing and they have decided to create their own mythology for this new album, ‘Alpha-Omega Man’. I have played and played this to get to the core of the meaning but I believe it has many levels for those willing to look. Gordon Midgely and Nathan Jon Tillet have, in the previous albums, looked at local and/or established mythology and drawn that their inspiration from that. Tregeagles Choice, which is referenced in the track Without Sentiment being an old legend form the south west. 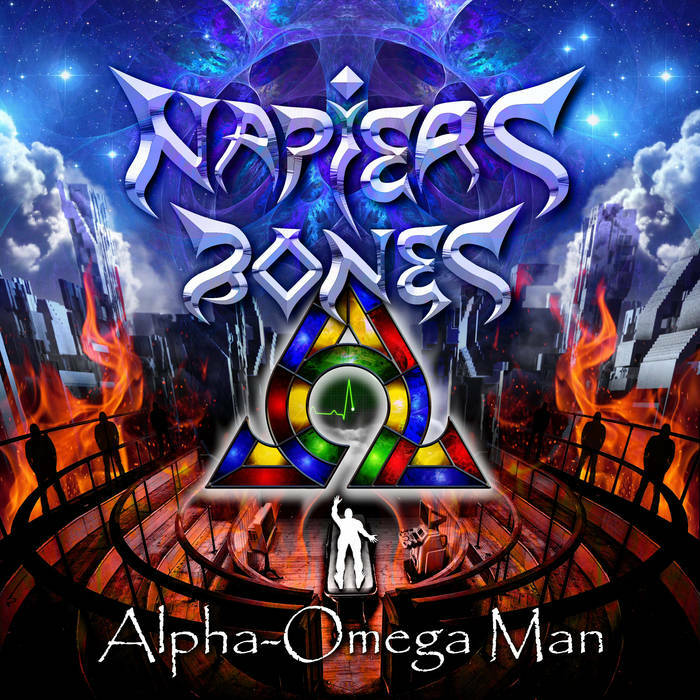 This album appears to be the journey of the creation of a Messiah or Deity figure from its formation in some unseen mechanism attached to tubes and machines, comatose awaiting consciousness. This is essentially Awakening, the opening track. A being out of time and space cast adrift on the oceans of an empty void. 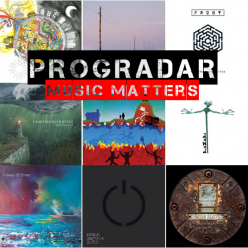 The music is classic prog with Mellotron and guitar work and what sounds like analogue Moog synths. At 13 minutes long I could go down a black hole of paranoia and ‘End of Day’s’ language in massive volume here but I won’t, I promise. The Messengers, a distant American News Anchor tells us of an all seeing, all knowing news service bringing harmony from discord, from Alpha to Omega. Heavy fuzzed bass and guitar with a mono synth is the insistent back drop. The voice of the creator in the void that our hero inhabits. Leading Straight into Citizen, we finally hear the voice of the Alpha-Omega Man. 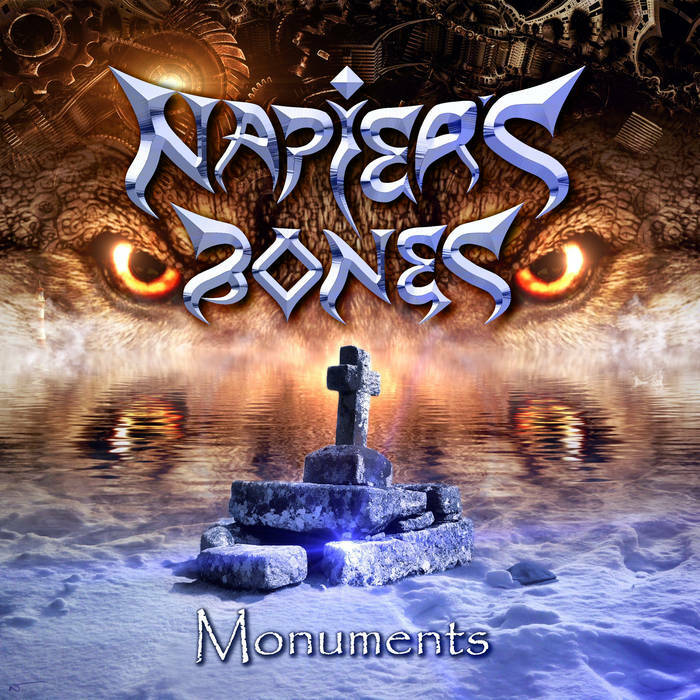 The music makes you feel like you are travelling, a solid pressing bass line and massively distorted guitar solo of which John Lees or Andy Latimer would be proud. He surfaces slowly into the next track Hypno-Sapiens, a suitably ethereal track fitting its name and place. You could take the concept of this album as that of a comatose man recovering from a near death experience, slowly lifting from the darkness. You could also take this as the second coming of the messiah from Judeo-Christian mythology, placed into a modern framing of St John’s Revelation. I will not go track by track for the rest but, instead, I suggest you listen to them and seek your own meaning. I don’t want to spoil the ending either. 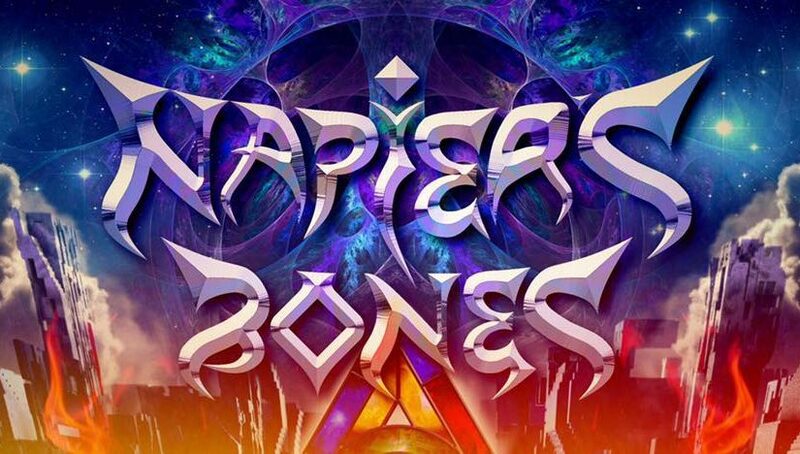 Musically I think that we have a definite ‘Napier’s Bones’ sound that makes them distinct from other bands and it is definitely one for the classic Prog fan. It is prog at its most ‘proggiest’, theatre, sci fi, mythology, death and deity all rolled into a musical epic. 3 tracks coming in over 11 minutes and a narrative that runs true from end to end. Yet, it is neither pretentious nor self indulgent, it is Gordon and Nathan pushing their musical boundaries out of the comfort zone of the previous albums to see where they can go musically. Fans of The Tangent, Camel, Barclay James Harvest, Genesis, Big Big Train and their ilk will find something of worth here, but not in a plagiarist’s way.